Did Mayor Rahm Emanuel’s administration manipulate scenes? 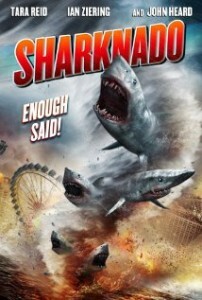 I guess Chicago would’ve been better off if we were attacked by a Sharknado. 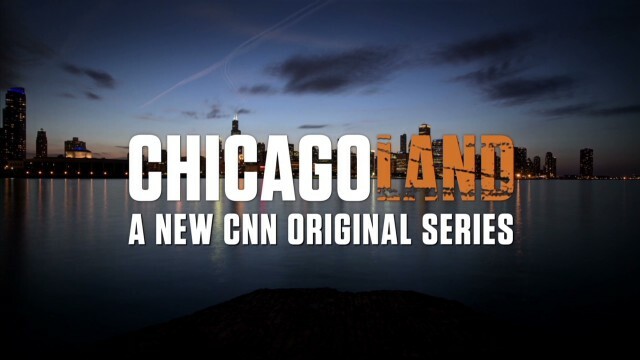 When the dust clears, CNN’s Chicagoland will go down as one of the biggest bombs in the history of television – and one of the worst shows in the history of the medium. While no one was expecting a Chicago love-letter or a feel-good presentation, the series actually wound up hurting the city’s image more than helped it. And now we learn Chicagoland wasn’t as authentic as we thought. In fact, it was about as authentic as the hair on Wendy Williams’ head. On April 25 – the day after Chicagoland concluded its run, the Chicago Tribune’s Bill Ruthhart reported the producers of the show manipulated many scenes featuring Chicago Mayor Rahm Emanuel, with as many as 700 e-mails revealing the rather close relationship between the mayor’s advisers and producers, promising to show Emanuel in the best light possible and showcase him “as the star that he really is”. The producers worked with Emanuel to craft certain storylines and create specific scenes for the show – not to mention manipulatively edit situations to make the mayor smell like guest-room soap. Some of the set-ups were so contrived, an episode of Cheaters seemed to have more credibility. Of course, it helps that Chicagoland producers Marc Levin and Mark Benjamin are represented by William Morris Endveaor – the same agency run by Ari Emanuel – who is the brother of mayor Rahm Emanuel. They promised there would be no “conflict of interest”. Yours truly actually did watch all eight episodes of this hot mess – yes, all eight of them – and I’m lucky I haven’t gone upside my head with a frying pan. This wasn’t just bad – this was Star Wars prequel bad. I was surprised Mayor Emanuel didn’t hire Kenya Moore from The Real Housewives Of Atlanta to be his press secretary just for the show. As a person who has studied playwriting and screenwriting – and wrote a couple of scripts along the way, I can tell you every act in the episode – every episode – was structured the same. First we see Chicagoans at play (at a concert, restaurant, Hawks game, etc. ), and then we head over to the ‘hood for the carnage and violence and would remain there until the end of the act. It made for a rather predictable, bland, and paint-by-numbers product. Some segments weren’t bad – the talented Chance the Rapper got to show off his skills and Fenger principal Elizabeth Dozier was seen trying to hold her high school together. Unfortunately – and not surprisingly, Chicagoland absolutely did nothing for the city’s African-American community – it just reinforced the same old stereotypes, making it appear all black men in Chicago are gangsta rappers running around with guns and showing nothing but hopelessness and despair, as black viewers (the few who watched) increasingly complained about the portrayal of their neighborhoods as the series progressed. It became increasingly hard to watch. And if Chicagoland stereotyped African-Americans poorly, it pretended the city’s Hispanic population barely existed, only getting screen time in the seventh episode and showed a measly clip of the Mexican Independence Day parade down 26th Street. As for promising to show the mayor in the best light possible, they sure did a good job – the producers edited out the mayor being booed at a basketball game at St. Sabina and the only news footage of his critics were from Asean Johnson – a student from one of the 50 schools being closed; and Chicago Public Teacher Union President Karen Lewis, who declined to participate in the show. President Lewis on #CNN #Chicagoland mockumentary: What we saw were stereotypes and social issues out of context. Critical remarks about the mayor’s policies made by Cook County Board President Toni Preckwinkle and Cook County Sheriff Tom Dart were also left on the cutting room floor. If you’re shocked about the award, keep in mind Milli Vanilli won a Grammy. At the start, Chicagoland had a 61 Metacritic rating and generally favorable reviews from local critics, but even they had became tired of the all-Rahm, all-the-time focus, and turned against the show when Mayor Emanuel’s manipulation was revealed. Veteran Tribune writer Rick Kogan criticized the show for its constant focus on the mayor and street violence, while The Trib’s Kass never bought into the hype to begin with. Being the nice guy I am, yours truly rated it a C for its first episode. But each subsequent show became worse and worse. But the best analysis – and criticism of the show came from local blog The Beachwood Reporter where Steve Rhodes (not to be confused with the next door neighbor from Married… With Children) and “The Angry Aussie” took apart each episode and took turns analyzing – or ripping into – the show on the site’s podcast. One great point Rhodes made was the unnecessary addition of Mayor Emanuel’s visit to The Late Show With David Letterman to the documentary, where the soon-to-retire host asked the mayor about the city’s crime epidemic. Emanuel, of course, danced around the question. The more I watch it, the more I realize #Chicagoland is a piece of garbage. .#Chicagoland is like a bad Spinoff TV show. Characters just "happen" to show up. "Oh look it's @BillyDec! And "Hey, kids it's Mr. Mayor!" 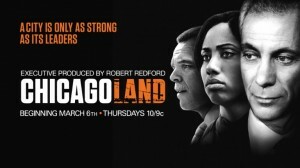 Never watched #Chicagoland because I felt as reporters we see the real stories of violence all too often. Sounds like I was right. In its first week on the air, Chicagoland drew an unimpressive 629,000 total viewers, but steadily declined throughout its run, with the series finale nabbing only 325,000 – a 48 percent drop and a series low. In the key 25-54 demo, Chicagoland lost 42 percent of its audience throughout its run, starting with 227,000 viewers and ending with 132,000. The series often finished third among cable news networks. Even worse, Chicagoland skewed quite old – the series’ ratings among adults 18-49 were negligible. For a show with a lot of young people in it, Chicagoland had practically zero youth appeal. Meanwhile, Chicagoland was never able to find an audience even in its hometown. The eight-episode run averaged only a 1.75 household rating according to Nielsen, with the April 24 finale drawing a series-low 1.3. Among total viewers, the finale drew only 69,250 viewers according to the Sun-Times – a number roughly the size of northwest suburban Palatine. For those worried about this show worsening Chicago’s national image, at least there’s this positive: hardly anyone watched. Chicago would have been better off if it were attacked by schools of sharks. Chicagoland had potential to become a great documentary for the ages. Unfortunately, the series suffered from poor story structure, dialogue, terrible narration, cliches, racial stereotyping, and too much Rahm Emanuel. Viewers – well, the few who were there for the first episode, fled for the exits when it became apparent where this show was going. And guess where is Chicagoland going now? That’s right – to The T Dog Media TV Hall Of Shame of course, where it will sit among such classics such as Allen Gregory, Animal Practice, two shows named Brothers (two!) and We Got It Made. What’s worse, watching Sharknado or Teri Copley act like a ditz was actually more entertaining. Are you done laughing now? Good. Because in all seriousness, Chicagoland was a piece of excrement that hurt the city’s image more than anyone could imagine, using shock value, manipulative editing, and staged theatrics in lieu of a REAL discussion regarding Chicago’s real problems, which could force it off a cliff – resulting in less jobs, worse schools, higher crime, even higher taxes, and… wait for it – lower ad revenue for the city’s media outlets. And that my friends, isn’t funny.